By our price tool, you may get your casting price immediately! These are approximate price range, for more accurate price, please use our Price Calculators. Currently, the pig iron price has reduced a little to 3400 RMB/ton, this is a good news, however, the most of metal foundries may increase about 500 RMB/ton to casting production because of the increased social insurance. The government pollution control may increase production costs too. We think the current cast iron and cast steel prices are still unstable. This is the current price situation in 2019.
any question within 12 hours! 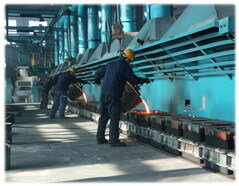 Dandong Foundry is a professional Metal Foundry in Dandong City of China. We have 50 years experience in producing Gray Iron, Ductile Iron Castings, Steel Castings and Machined Parts. Our annual production output is 8000 tons of metal castings, and 70% have been exported to USA, UK, Australia, Germany and Italy etc. We have ISO 9001 Quality Certificate. Our inside quality control and inspection is reliable, so we can issue credible quality and material certificate. Main Products: Gray Iron Casting, Ductile Iron Casting, Steel Casting for Tractor, Truck, Trailer, Stove, BBQ, Boiler, Pump, Valve, Pipe Fitting, Flange, Manhole, Seeding Knife Point, Seeder Boot, Exhaust Manifold Casting, Cradle Bracket of Cylinder etc. What equipment we are using for casting! 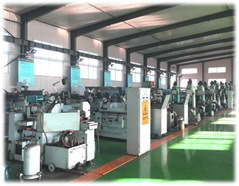 Our production processes include FBO Automatic Molding Line, Machine Molding line, Resin Sand Molding Line, Shell Molding Line, Manual Green Sand Casting, and Lost Wax Investment Casting Production Process. Our melting equipment are 1.5 tons Medium Frequency Electric Furnaces, together with the automatic spheroidizing center, we could produce high quality metal castings. Can we do some machining works? Our foundry has many machining equipment, including CNC centers. We can complete all rough machining works and high precision machining works in our own foundry. 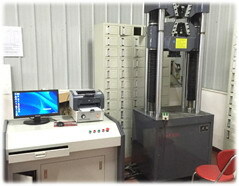 Besides of our own machining workshop, we could entrust our local partner machining workshops to work for us. It will reduce lots of troubles to complete all casting and machining works in our foundry. How can we control the casting quality? We have complete quality inspection devices for Mechanical Testing, Chemical Analysis, and Non-destructive Inspection, including tensile strength, hardness, metallographic inspection, spectrometer, ultrasonic testing (UT), etc. Our foundry has ISO 9001 quality certificate, and we can issue quality inspection reports for all castings. Quality Control is always the most important work for us. Some knowledge shared with you! Gray iron, or grey cast iron, is a type of cast iron that has a graphite microstructure. Ductile iron is not a single material but is part of a group of materials which can be produced to have a wide range of properties. The following gray iron and ductile iron grades are very special, they have specific requirement to the Brinell Hardness range. For cast iron EN-JL2010 (EN-GJL-HB155), EN-JL2020 (EN-GJL-HB175), EN-JL2030 (EN-GJL-HB195), EN-JL2040 (EN-GJL-HB215), EN-JL2050 (EN-GJL-HB235), and EN-JL2060 (EN-GJL-HB255). These are the chemical composition, mechanical properties and equivalent grades of cast iron EN-JL1060 (EN-GJL-350). © LIAONING BORUI MACHINERY CO. LTD (DANDONG FOUNDRY) All Rights Reserved.